The Zebra Network works to increase awareness, education, advocacy and support for patients with Ehlers-Danlos Syndrome. None of this is possible without support from YOU. YOU can join the fight against Ehlers-Danlos Syndrome by becoming educated about the disease, learning what we do, joining our network for free, and by giving your support. The Zebra Network is taking charge to make positive changes in our world, by the minute! Your tax-deductible, charitable gift is important! Changes in the Season = Big Changes to Our Website! 2018 has brought exciting changes for our friends at The Zebra Network and we are continuing to make changes to fit your needs! We are working on revamping our website, expanding our programs, increasing the resources we provide, and spreading The Zebra Network's efforts across the world. Please bear with us as we make these changes. Thank you! The Zebra Network’s very own Founder and President, Victoria Graham, was selected as a nominee for the 2018 RareVoice Award through the Rare Disease Legislative Advocates and Every Life Foundation for Rare Diseases organizations. In the category of Federal Advocacy: Patient Advocate, Victoria was one of four nominees from across the nation highlighted for her outstanding work and achievements with Federal Legislation. Great job, Victoria! New Information is always being Added! With the help of teacher and mommy to 2 zebras, Sara Waldrip, we have begun building a Parent's Guide to 504, PEP, and IEP for children in grades K-12. Complete with examples and important information to know before, during, and after your meeting, our goal is to help you and your child navigate the classroom with EDS. View it in our Patient Guidebook, here! Looking for information on Rare Diseases and Rare Disease Day? Have something worth reposting? Tag us! Giving Tuesday: Open your Hearts to Helping Others! This Tuesday, in the spirit of giving, we ask you to help us support patients, worldwide, with Ehlers Danlos Syndrome. How can you give? Gift a financial donation, send blankets, non-perishable snacks, cozy socks, neck pillows, medical supplies, personal hygiene products, and more! With an easy click, your monetary donation can make a huge difference! You can also help by checking items off of our Amazon wish list or collect items of your own choosing for our Patient Support Packages! The Zebra Network's Rays of Sunshine launched their 2017 Secret Santa Gift Swap earlier this month and we are excited to announce that nearly 100 participants from 8 countries will be exchanging gifts to celebrate the Holidays! If you are participating in the exchange, make sure you send your gifts out by December 18th to ensure delivery before the Holidays! 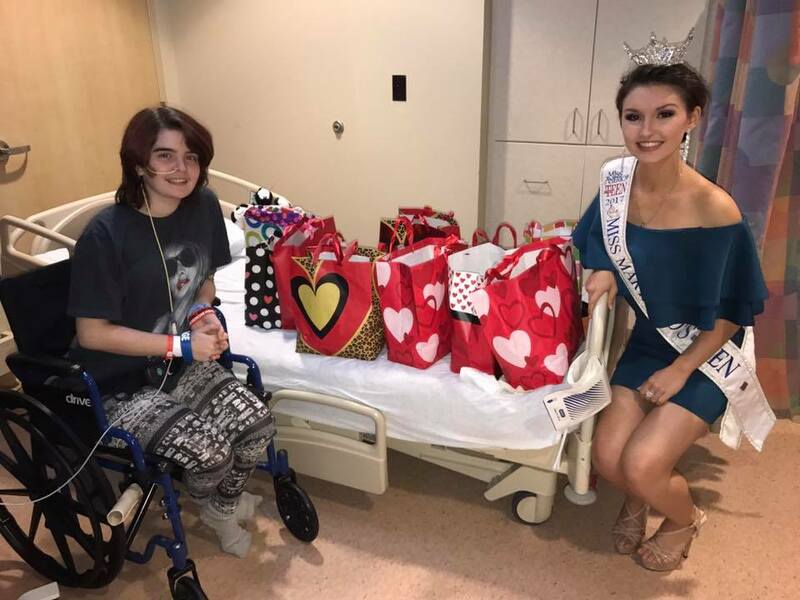 The Warrior Glam Bag program, envisioned by teen patient Ashley Dixion, has reached new heights as Chloe Wildman, Miss Maryland's Outstanding Teen 2017, and Marta Bota, Ms. Virginia America 2016, have led drives to collect over 600 products in less than one month! The three superwomen have teamed up with local community leaders to make the impossible, possible and deliver Warrior Glam Bags full of make up and fun beauty products to teens in the hospital! To learn more about this program and donate products or financially, visit the Rays of Sunshine, Warrior Glam Bag program page, here! The Zebra Network has formed a new partnerships with Backpack Health, a health tech company who is building tools to help people manage their health details, care and communication. We believe everyone should be able to track their own health comprehensively, and do the same for the people they care about – no matter what their health concerns are, no matter what family means to them, and no matter what language they speak – all in one place. Check out Backpack Health, now! Founder, Victoria Graham, was recently recognized for sharing her battles with Ehlers-Danlos Syndrome. First published with Babble and BBC, her story got international attention in Teen Vogue, Allure, Yahoo!, FOX News, MSN, Huffington Post, Washington Post, ABC World News with David Muir, Good Day DC, and more! Articles have been in English, Spanish, Russian, Greek, Italian, French, Arabic, and Dutch! Advocacy through the news is what we strive for! The more people who simply hear the term "Ehlers-Danlos Syndrome" increases recognition and awareness of the disease. Way to go, Victoria! View the original BBC article and video, here! The Zebra Network strives to provide support to patients across the globe by working to promote awareness, increase education, improve advocacy, and provide unique support to patients with EDS. Join The Zebra Network for free! Members of The Zebra Network receive free patient support resources, including patient-to-patient support, access to our medical professional network guide, inclusion in our community network sponsorships and further support in the battle against Ehlers-Danlos Syndrome. Not a Member yet? Join below!